As popular culture mavens know, the end of a year results in the retrospectives on the past years - the highs and the lows - while the beginning of a new year results in lists of what to expect in the coming year. As Hollywood awards season kicks into high gear to honor contributions from the previous year, Big Skinny prefers to look forward. This is evidenced by our list of new wallets types and styles that will be available in 2016. If you are in the market for a new wallet this year, or if you are searching for the perfect gift for someone special, gives these wallets some thoughtful consideration. RFID Blocking Bi-Fold and Tri-Fold Wallets - As the use of credit and debit cards has increased over the years, so have incidents of identity theft and fraud. Bank cards are very convenient thanks in part to their Radio Frequency Identification (RFID) chips. These chips contain information such as your name, bank account number and social security number. Data thieves can use RFID skimmers to easily obtain this information without your knowledge. RFID blocking technology serves as a wall between the credit cards in your wallet and the outside world. The frequencies on your card will not transmit through the blocking component, keeping your information out of the hands of thieves. These new bi-fold and tri-fold wallets are available in nylon or leather and includes all of the features that you can expect in a Big Skinny wallet: extra-wide card pockets, a separate ID pocket and a sporty design. RFID Blocking Leather Super Skinny Bi-Fold - This amazing flat wallet includes our proprietary RFID blocking technology and three extra-wide credit card pockets that can hold a total of 35 to 40 plastic cards. There is still room in the billfold area to hold cash and the wallet has an extra-wide ID card pocket. All of these features are housed in a package that weighs barely 1.5 ounces. 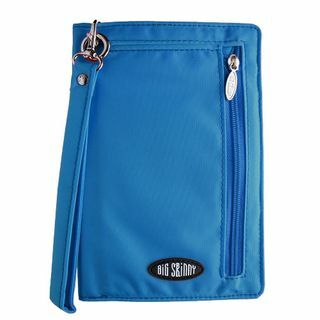 The wallet is made using thin, sturdy top-grain leather on the outside and an ultra-thin nylon microfiber on the inside. 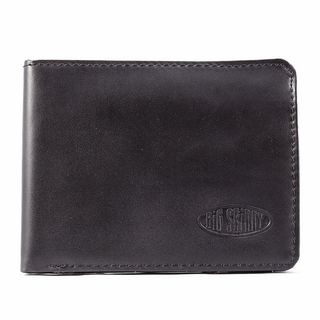 RFID Blocking Curve Bi-Fold - Our curve wallets are routinely a best-selling product and we have made this popular wallet even better by incorporated RFID blocking technology. 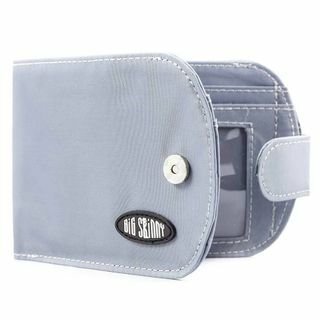 Despite being small, this wallet can hold about 20 plastic cards and has a billfold area that is lined with a non-slip coating to prevent goods from sliding out. You should expect to see this front pocket wallet on the best-seller list next year. We have certainly ramped up the use of RFID blocking technology by including it in other popular wallets such as our World Bi-fold wallets, the Nylon Taxicat style wallet and by producing RFID credit card and passport sleeves. These latter two products allow you to easily incorporate our RFID blocking technology into your existing wallets without spending too much money. One other very cool product to look forward to is the Wallet Ninja. This is a credit card-sized multi tool that can easily slip inside of a Big Skinny wallet. This tool by Vante Brands is crafted from 4x heat-treated stainless steel and includes: Philips and flat screwdrivers, a letter opener, a mobile phone holder, bottle opener, a centimeter and inches ruler, hex wrenches, a nail puller and even a fruit peeler. This tool is TSA approved for in-flight carry.